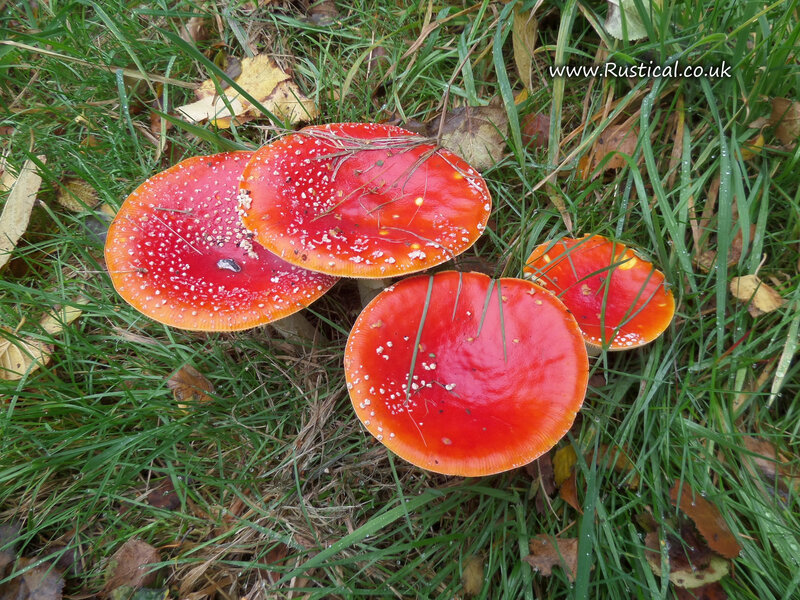 The annual arrival of our red mushrooms with white spots heralds the onset of Autumn. I did buy a book to identify safe mushrooms to eat but, having read it, decided against it as being ‘almost certain’ just isn’t good enough. 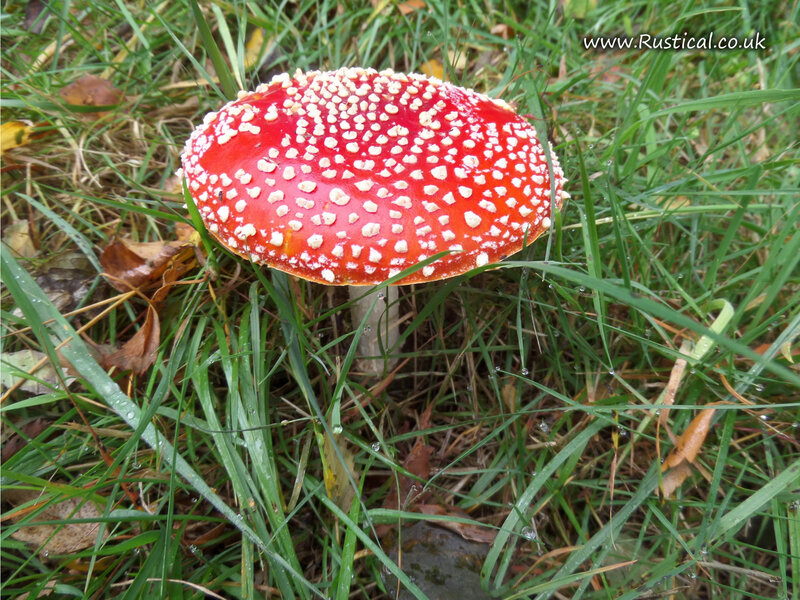 However, in this instance being ‘nearly sure’ IS good enough; I am almost certain that these are Amanita Muscaria which are classified as deadly. I think of these as the classic fairy toadstool and a welcomed arrival to the woodland floor. The source of the image of fairies dancing around them might not be that far fetched as, apparently, they have psychedelic properties “if prepared properly”. “Preparing properly” hmmm. A quick search uncovers a range of drying techniques for varying times whilst held at various angles. Perhaps the best one was the ancient shaman preparation of letting reindeer eat them and then drink their pee. I think I’ll stick to beer. Next Next post: Fresh wreath making has started!